The main goal of the investigation is to create a high quality sigle-photon source and it’s further integration into fiber networks. 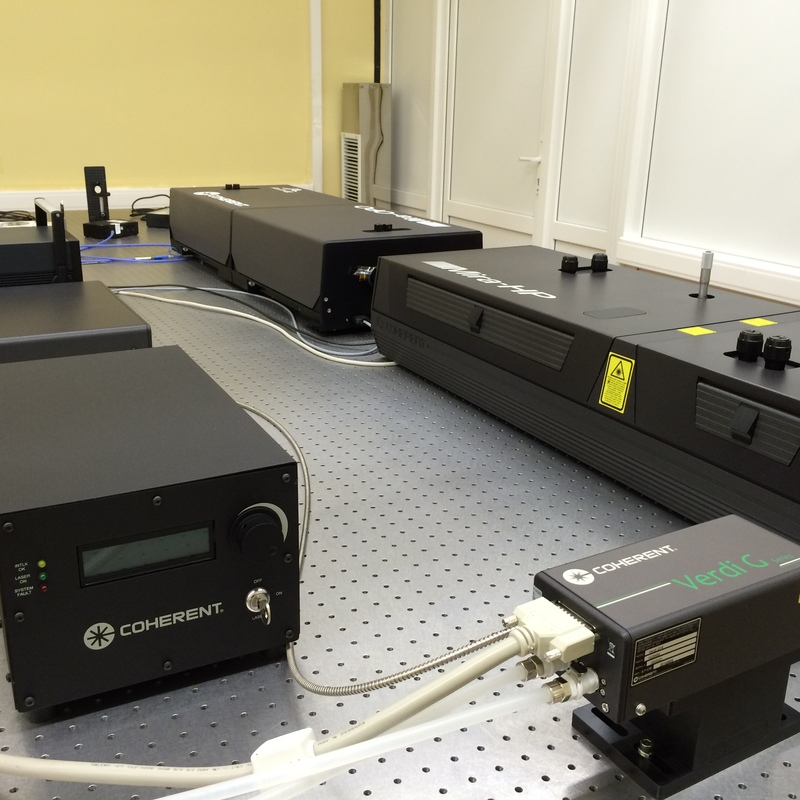 As a source of single-photon generation we aim to use femtosecond laser pulses and specially constructed highly nonlinear optical fibers. The gem of the laboratory is a femtosecond laser generation system Mira Optima 900 with optical parametric generator. That allows one to generate pulses of high intensity with the duration being not more than 250 fs and power not less than 0.8W. Address: 18a Chetaeva str. (KNRTU-KAI), Kazan, Russian Federation.